Are the Markets Rigged Against You? HomeBusinessAre the Markets Rigged Against You? “Well I think he’s probably referring to federal law; we have a different securities law here. We’re looking at it. We’re not prejudging the situation. But I think your point on regulation is a little bit off. 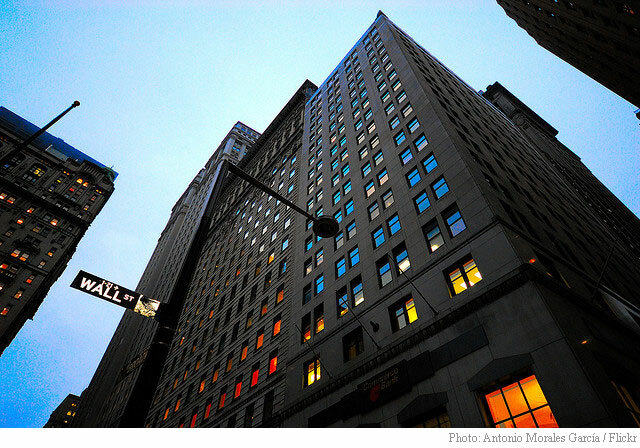 We tend in New York to be a little bit market-centric and finance-centric. We celebrate technology. But we have speed limits and airbags. I mean we celebrate technology but we have systems so that you can cancel your credit card if it’s stolen. So there are ways to have checks and balances. And what is being proposed is in the way of speed bumps and this is something, a new conversation, I support this idea of frequent batch auctions. So you would have all the trades that are up for one second or one half second, and then it’s allocated by price, not who got in a few milliseconds before the other at a lower price. That’s one way to do it. On whether regulators have lost credibility? “Oh sure. And that’s, but that was where the traditional rules on insider trader, the old regulatory scheme, actually worked pretty well. This stuff is way beyond the old rules of insider trading. That’s why we call it insider trading 2.0. Because you couldn’t use a bit of information about what a market survey says in 2 seconds in the old days. Sure [you should control information] but that’s why you weren’t allowed to trade on it. Are you saying some people got away with it? OK. Maybe some people got away with it. But we had a set of laws that worked well for a while. Time to update them.